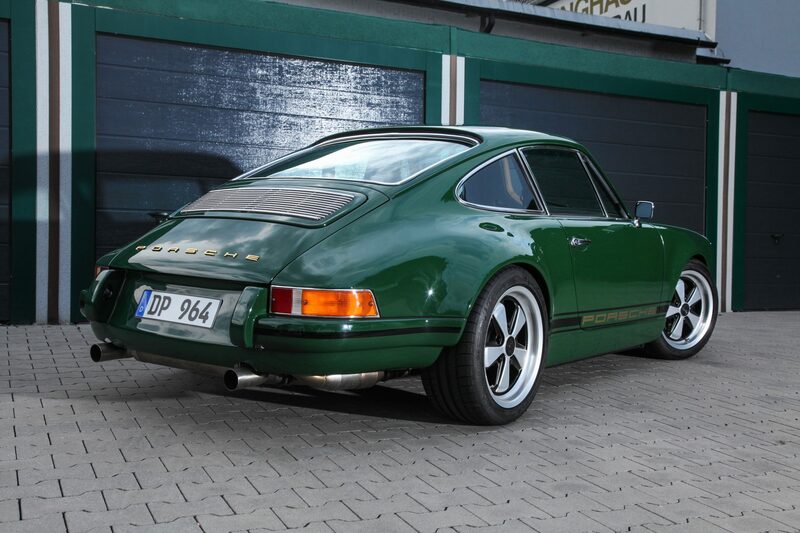 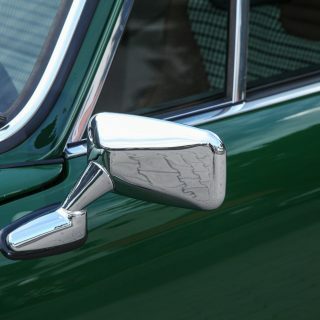 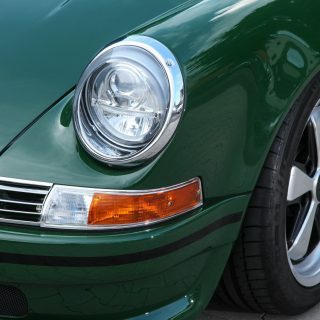 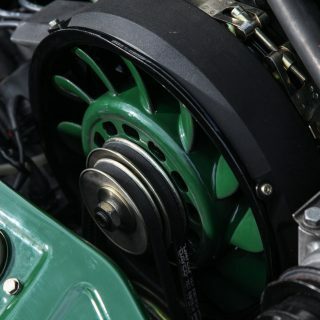 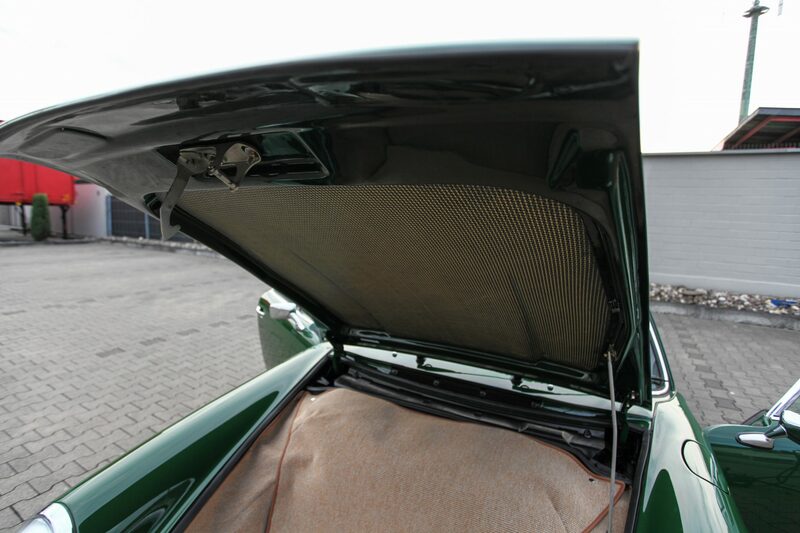 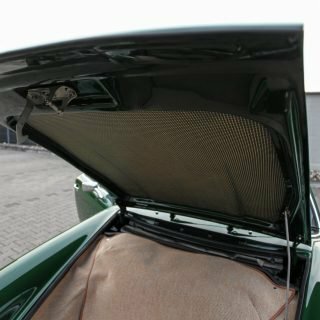 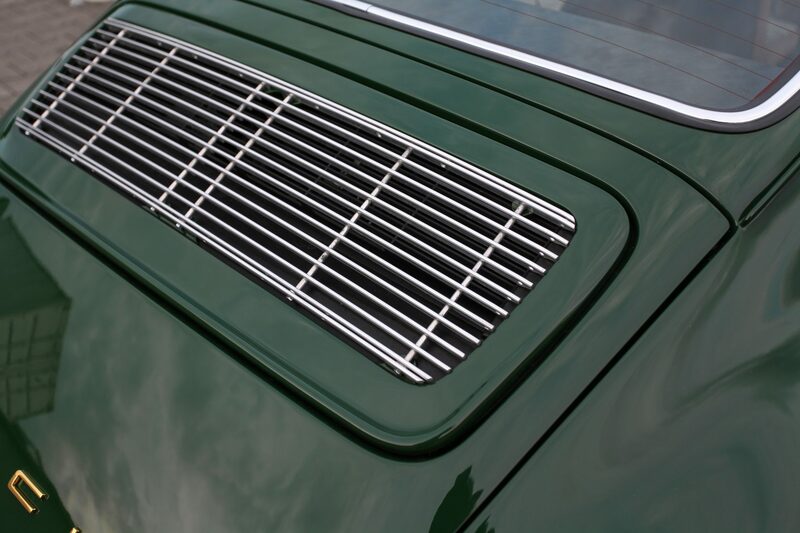 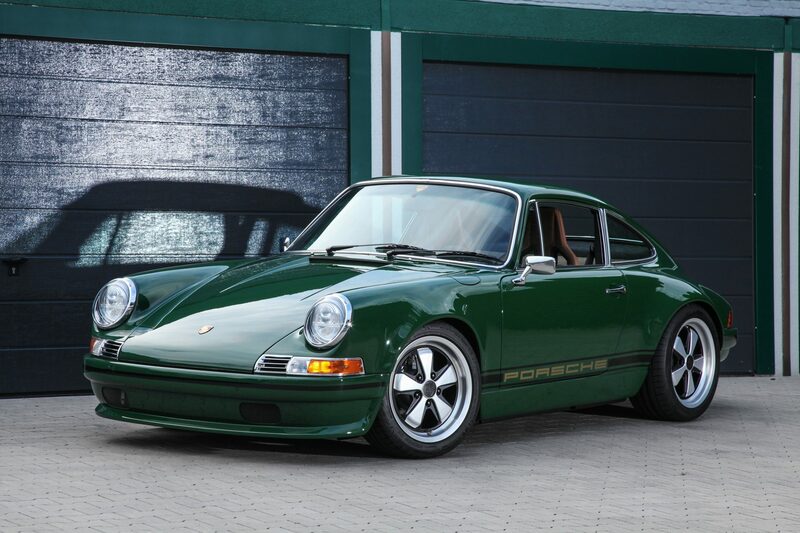 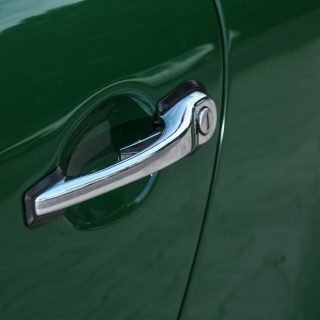 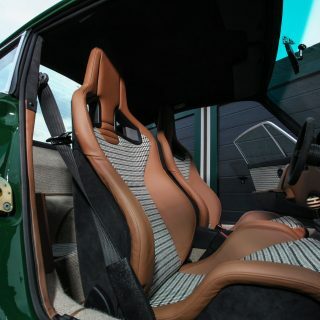 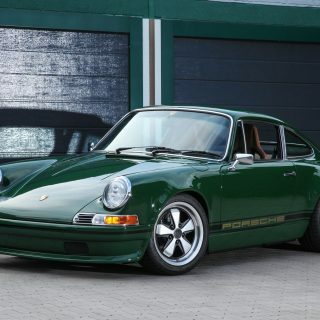 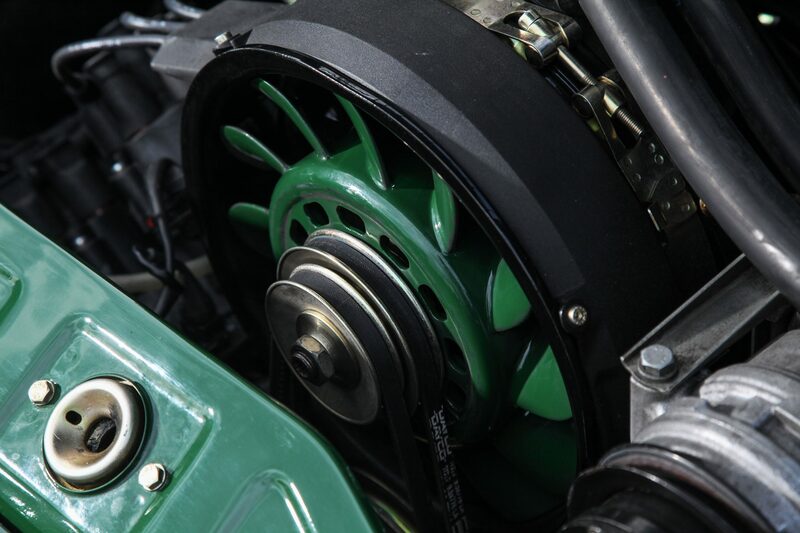 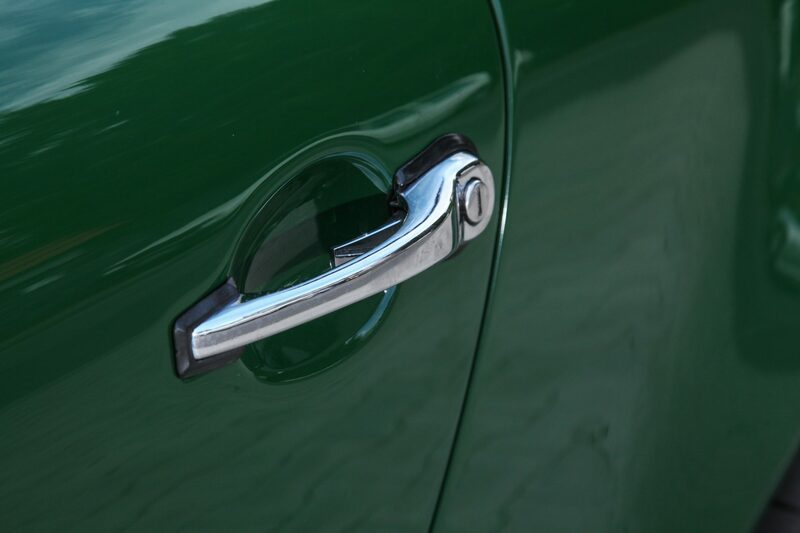 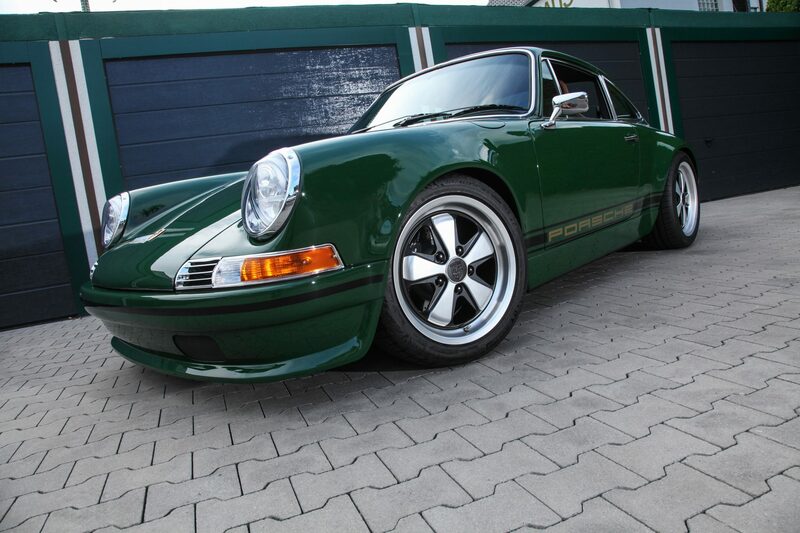 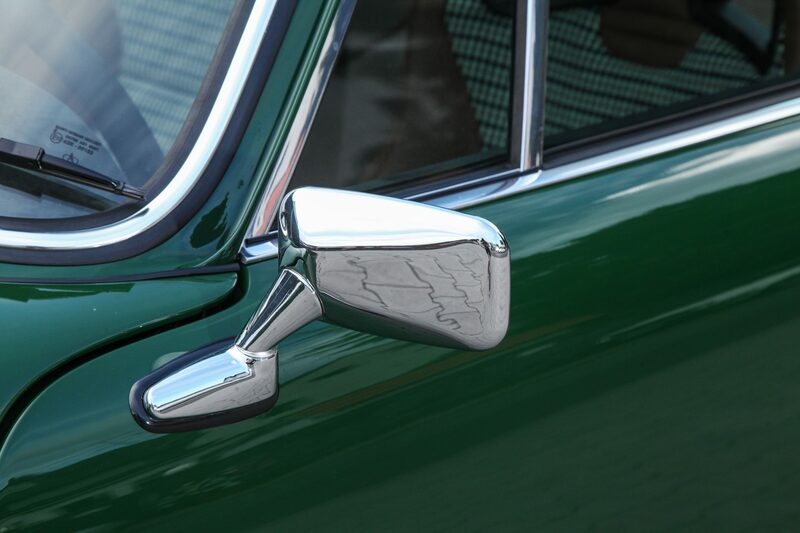 The latest creation is a 964 Carrera 2 in Irish-green (color code 213). 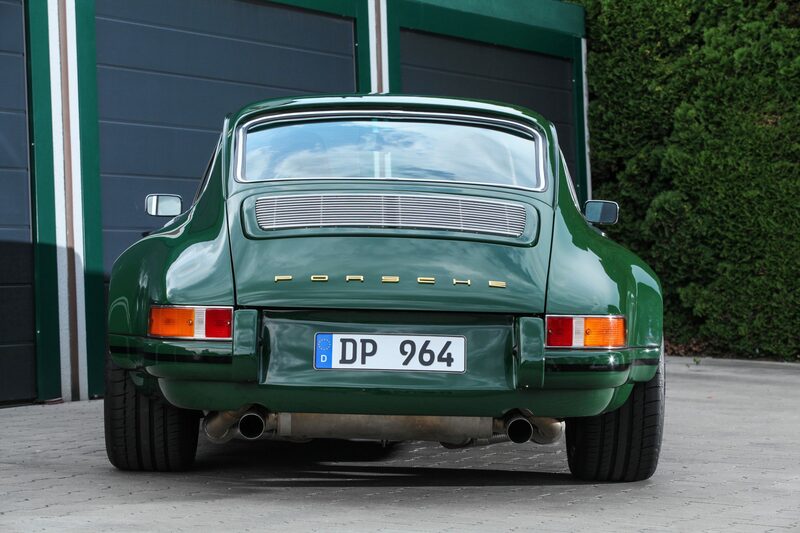 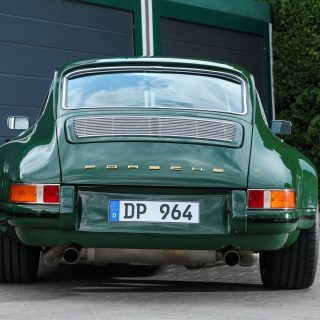 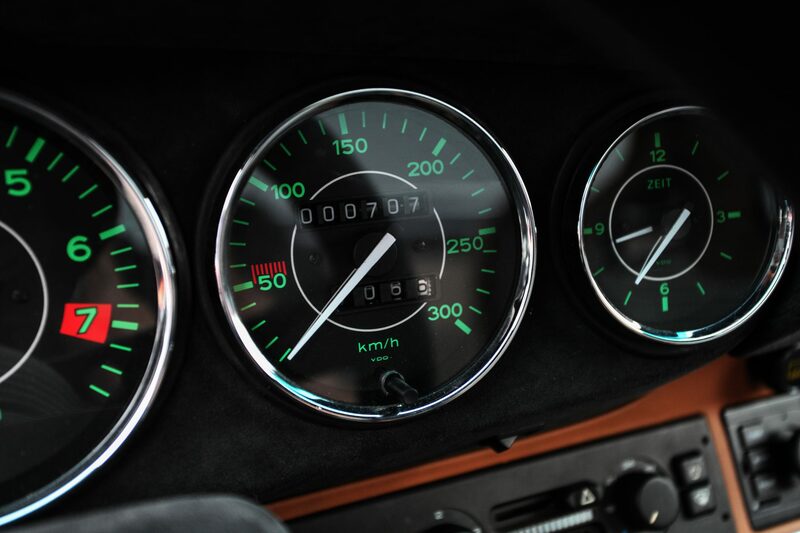 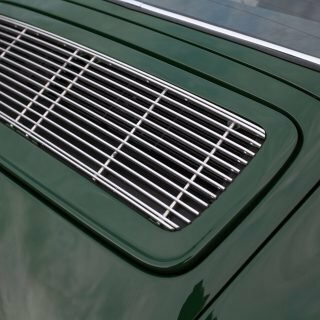 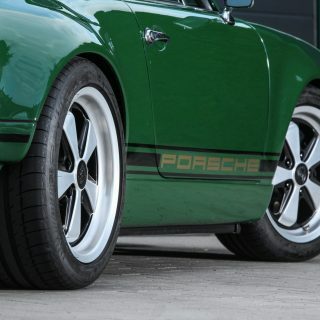 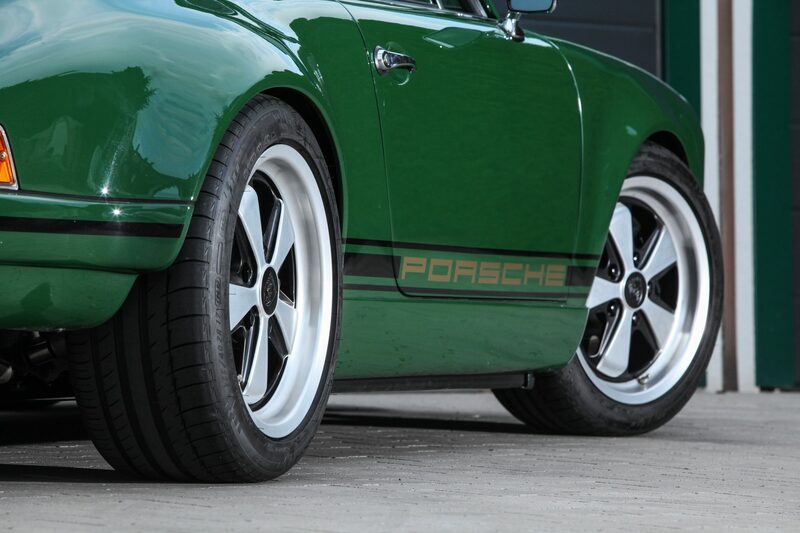 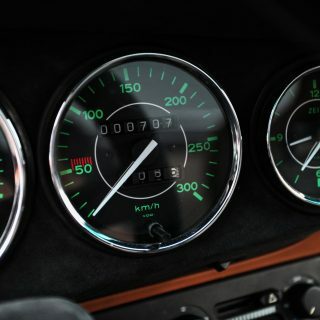 The body was widened by about 25 mm each side – compared to the Carrera – and formed an energetic-beefy body design. 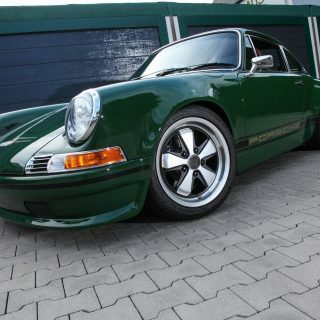 The body kit was made of carbon/Kevlar reinforced plastic and carries the internal name “964 Classic Carrera Widebody”. 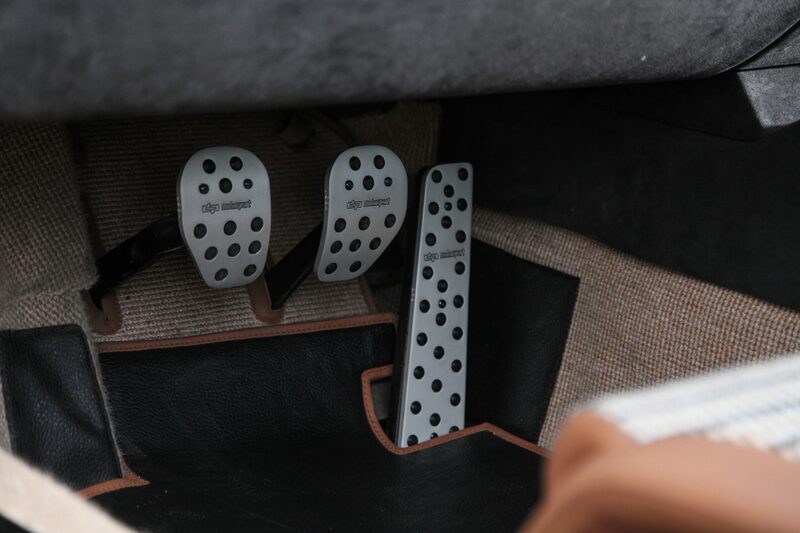 Of course, the vehicle’s suspension also had its fair share. 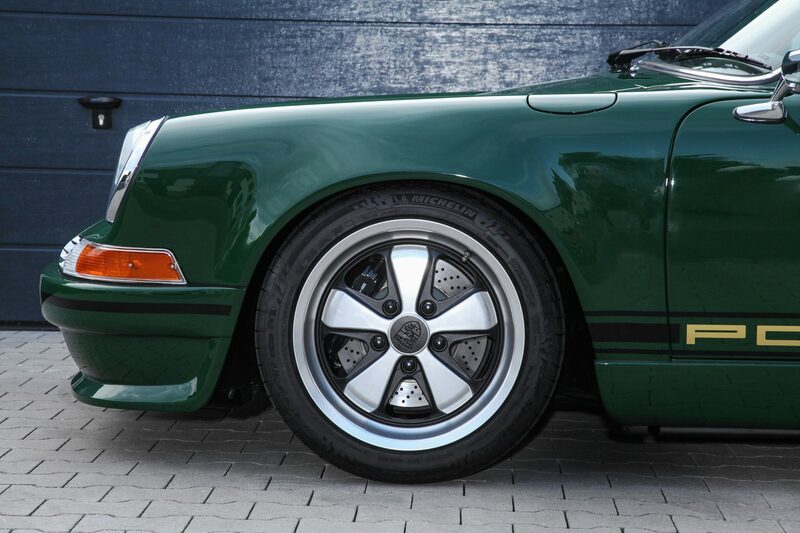 The KW-Clubsport struts with Unibal bearings, as well as the PU sockets on the front axle guides and the Unibal bearings on the rear axle contribute to the sporty set-up. 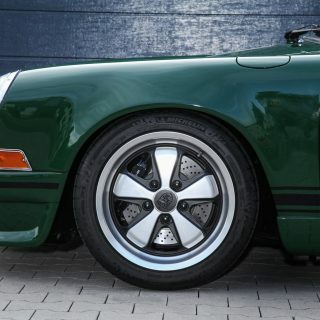 Forged Fuchs rims (Fuchsfelge®) in 8×17 with Michelin Pilot Sport in 225/45-17 at the front axle and in 9×17 with 255/ 40-17 at the rear axle “work” in the wheel arches. 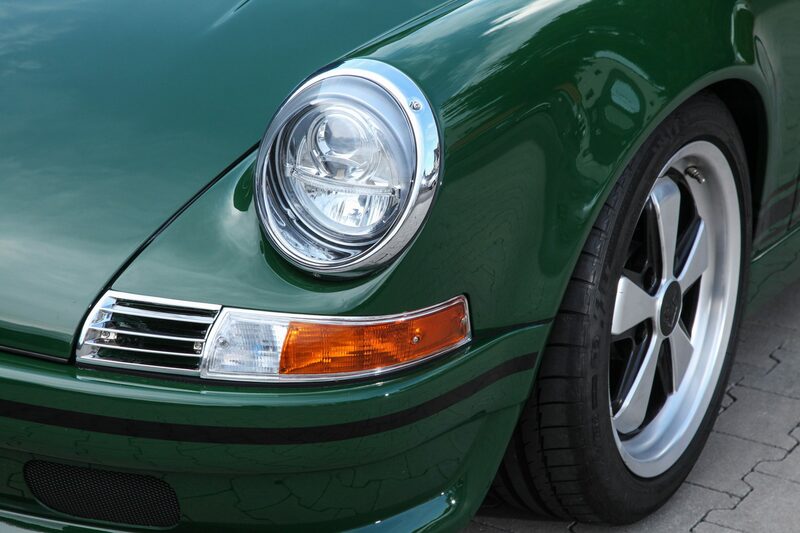 The 3.8-liter boxer provides 325 hp, accompanied by a G50 5-speed transmission with RS differential lock. 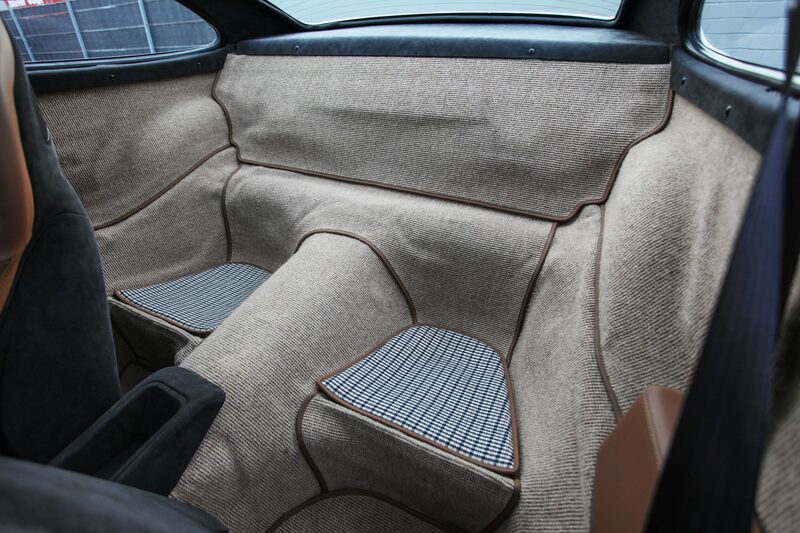 Also the interior decoration was redesigned down to the last detail with great effort. 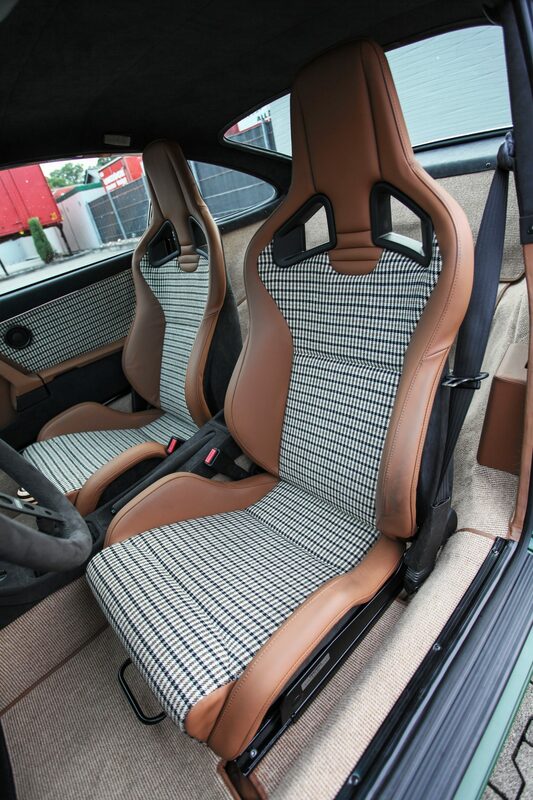 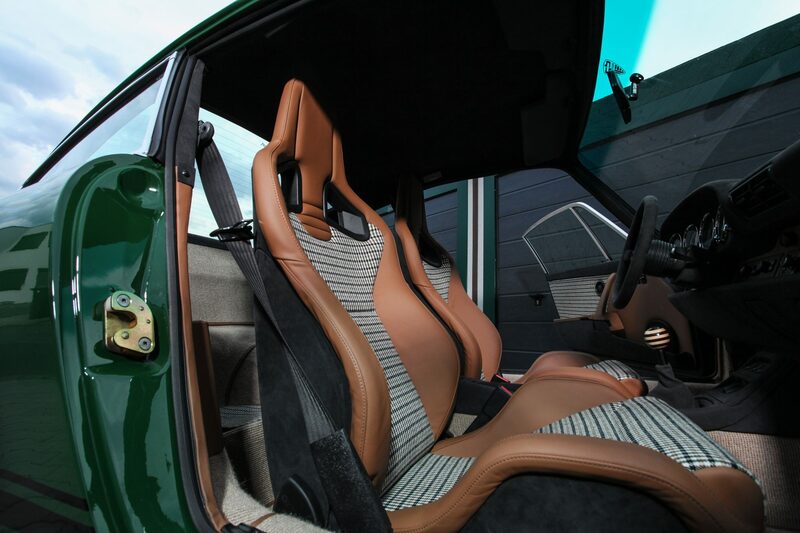 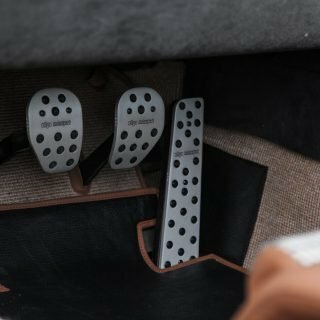 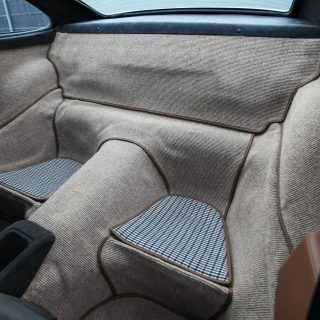 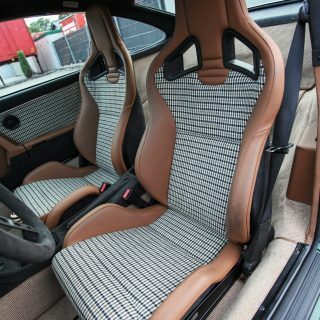 In addition to the Recaro sports seats with brown Porsche leather and Pepita, the complete carpet in beige bouclé and a Prototipo steering wheel by Momo can be admired. 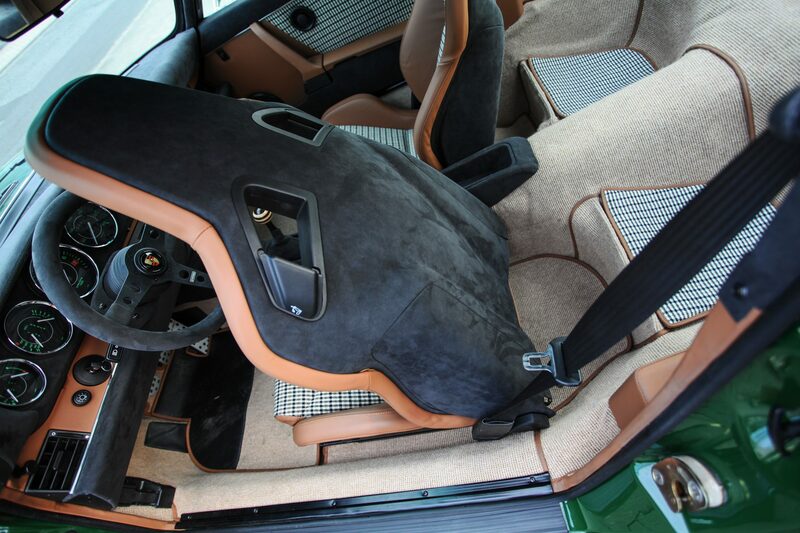 The dashboard, the center tunnel and various other details are covered with Alcantara. 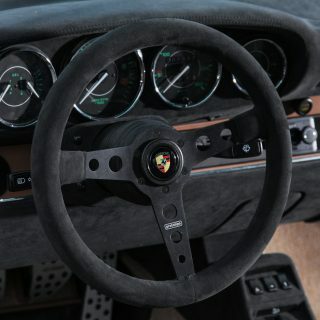 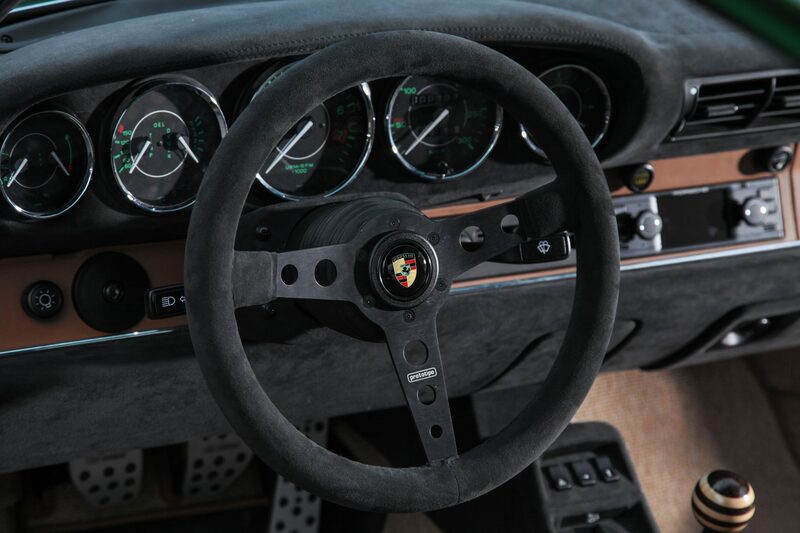 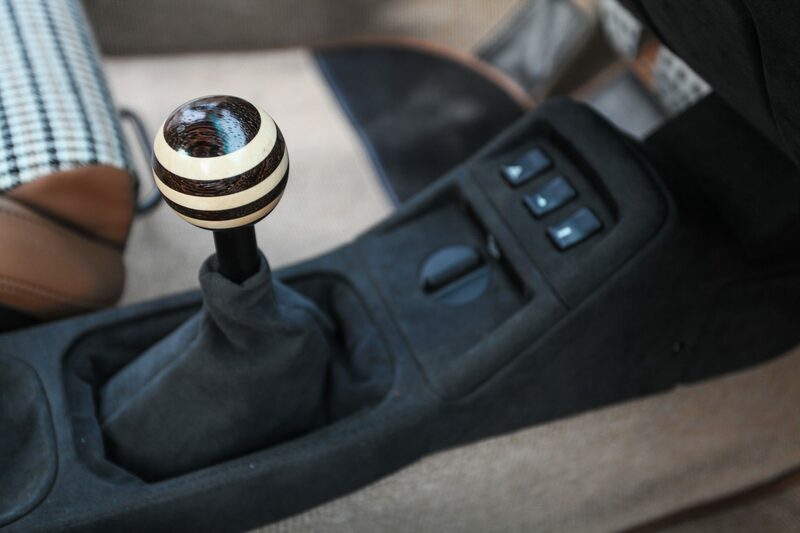 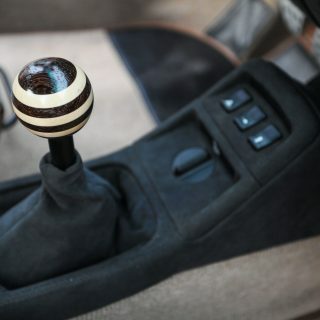 The gearshift knob consists of multilayer bonded wood and a Porsche Classic navigation radio with USB and Bluetooth indicates the direction. 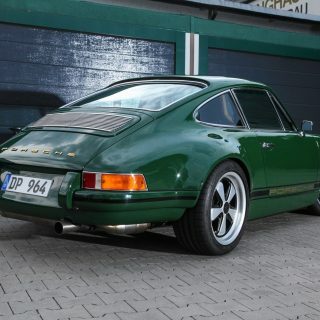 The price for the fast irishman amounts to 198,000, – Euro including the value of the base vehicle.